October 2005. 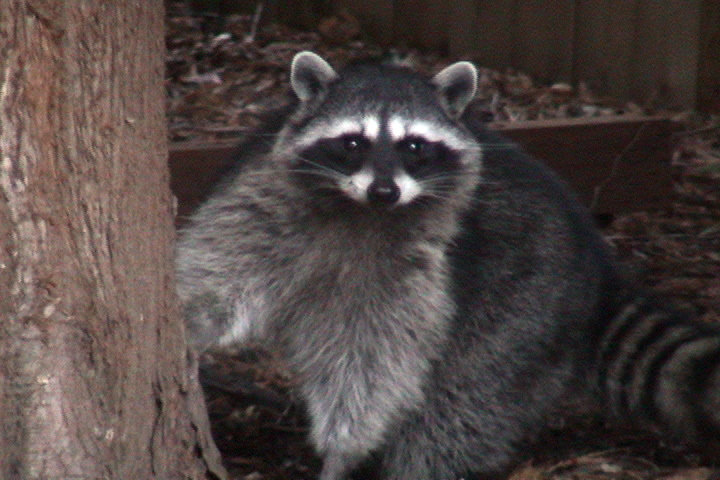 Raccoon in the backyard. We've noticed quite a few of these big fellows in the yard, usually at night, when their presence triggers the motion-sensitive flood lights. We have had chicken-wire fences around some of the new plantings in the backyard to keep the squirrels at bay. One night a big raccoon got caught in one. They can be quite vocal.